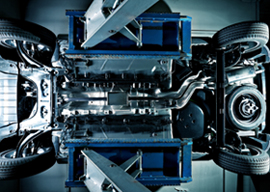 Atomic Transmissions is an automobile transmission specialist serving Villa Park, Illinois. Atomic Transmissions is the place to go for transmissions of all sizes. We work with transmissions in cars, trucks and heavy equipment. If you notice extra noise coming from inside your car or machine, it's time for the Atomic treatment! Atomic Transmissions has 22 expert mechanics to fix clutches, transmissions and drive trains. We deliver the best in quality repair and replacement. Our mechanics work efficiently and effectively to get your car back on the road and your equipment running smoothly. Atomic Transmission also does towing! Keep our phone number handy. If you're stranded from a faulty transmission, call Atomic right away! We'll bring you back to the shop and fix you up in no time. We are proud to offer all of our quality services for a low price. We're even open on Saturdays for your convenience! Atomic Transmission only specializes in transmissions, so come to us for your car or trucks transmission troubles. We have more auto bays than any other shop in town. We can cut the wait for you, while others wait at large all purpose shops behind lines of cars. At Atomic Transmission, we treat our customers with professionalism and make your experience pleasant. When it comes to your car, we are all business. No other shop can make your transmission as good as new like Atomic Transmission! There is no cost for a road test drive & quote!